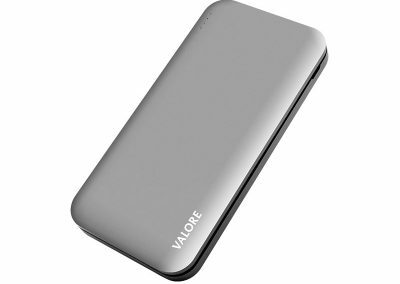 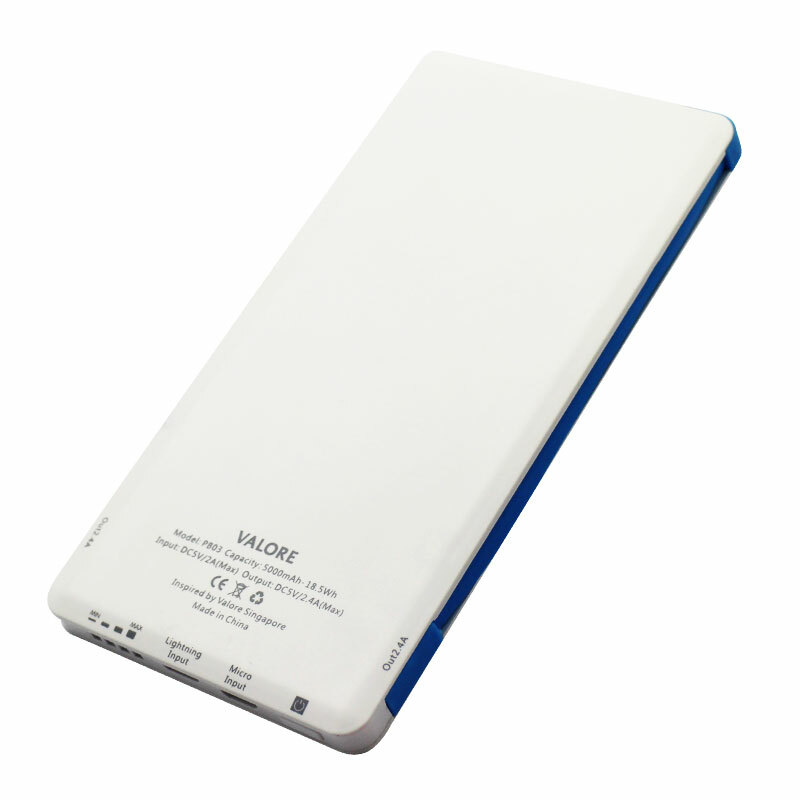 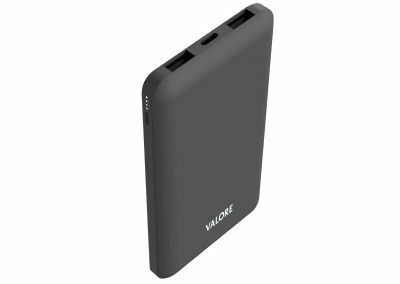 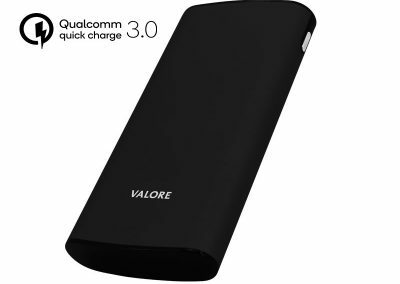 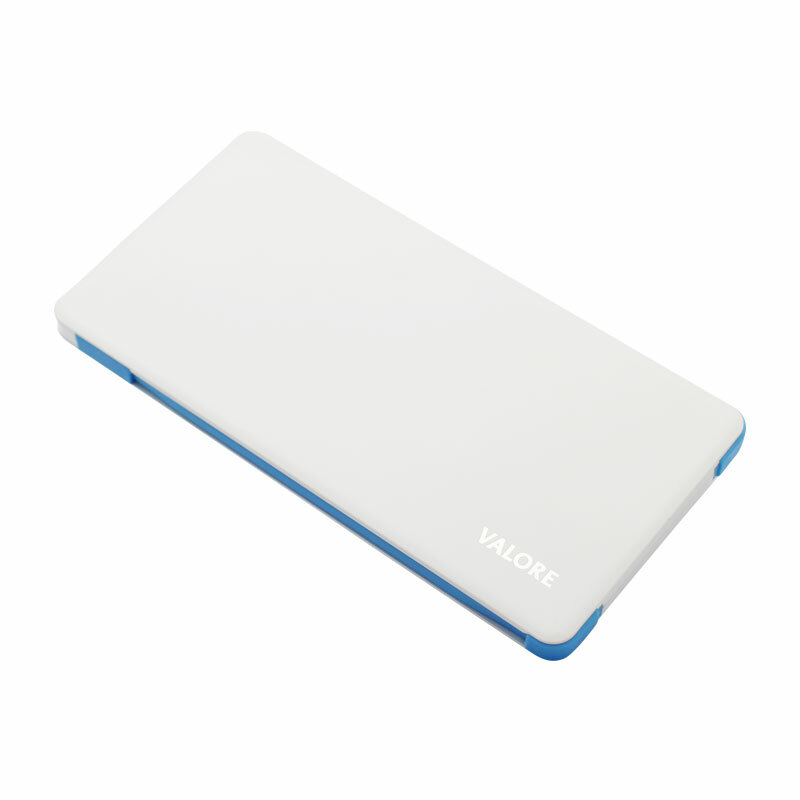 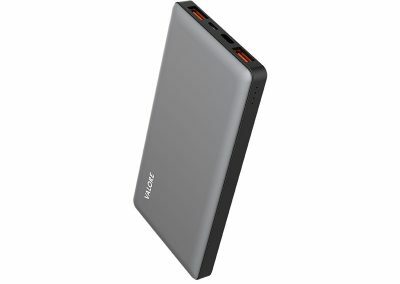 Charge Up your mobile devices quickly with Valore 5000mAh Power Bank. 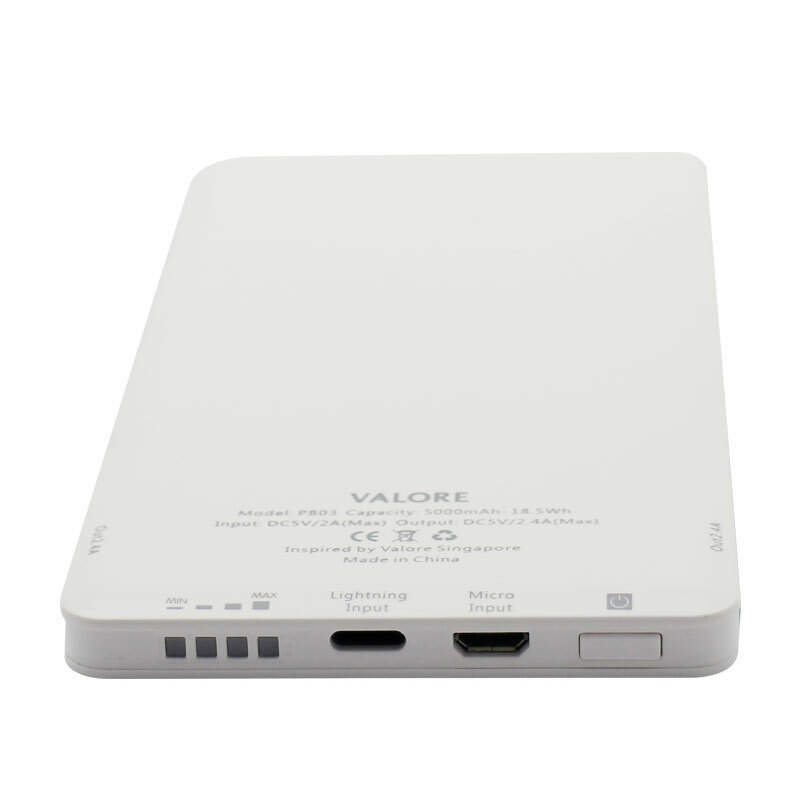 The 2.4A output dual port accessibility lets you charge two iOS and Android devices simultaneously. 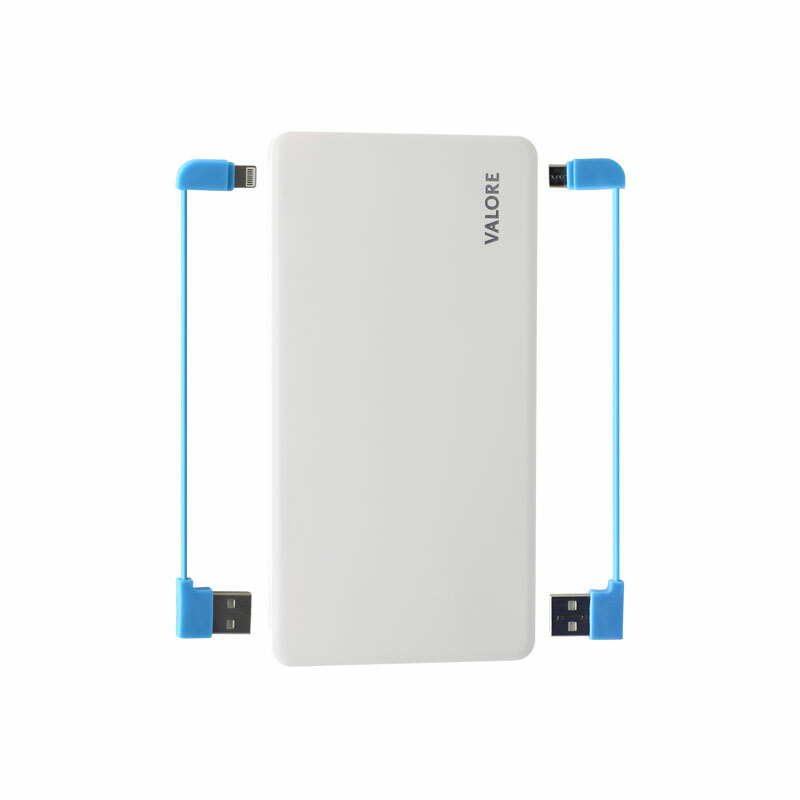 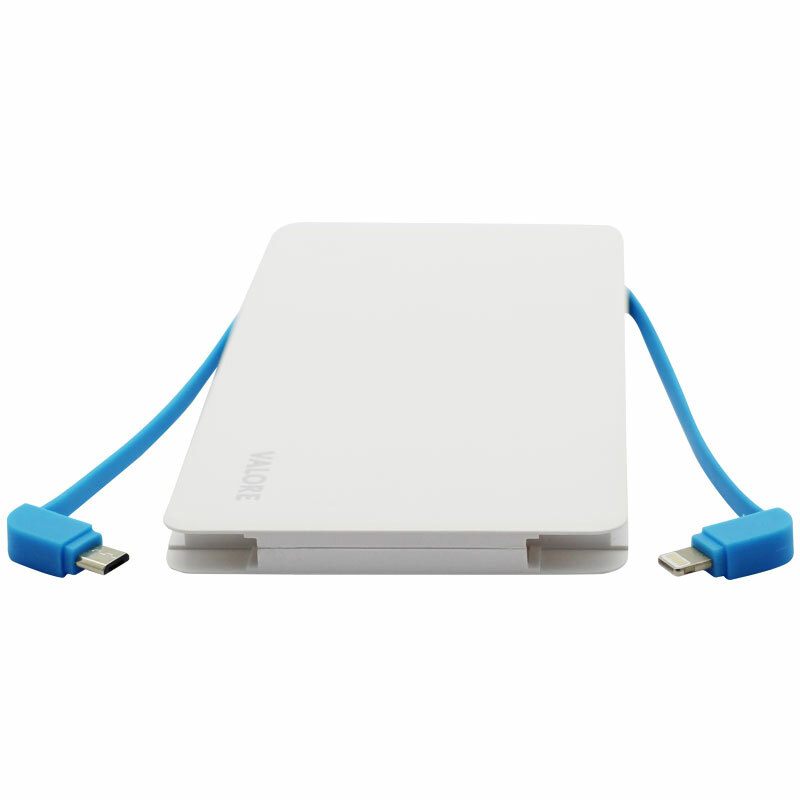 Plus, you will always have your charging cables wherever you go with detachable micro USB and 8-pin cables designed to be tucked into both sides of the power bank.